Create a stunning shower enclosure with these elegant bifold shower doors. 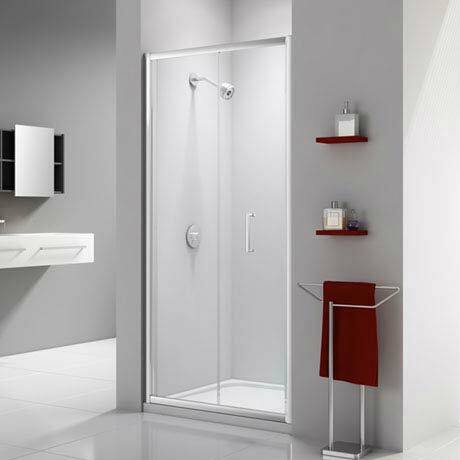 The Ionic Express Bifold Shower Door features a unique Fast-fit system which makes it simple and quick to install. Most items found in the Merlyn Ionic range come pre-assembled which helps save time. The bifold door has 6mm Mershield Stayclear coated glass and a discreet chrome bifold hinge. Merlyn offer a 20 year guarantee against any manufacturing faults on this Ionic bifold door for added peace of mind. Excellent door very high quality and easy to fit.